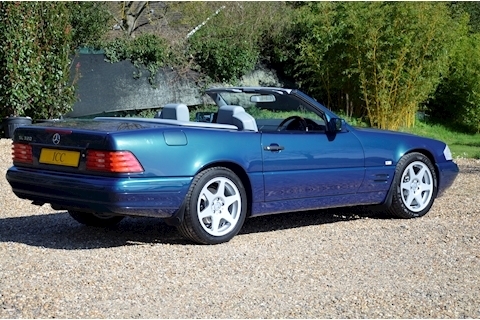 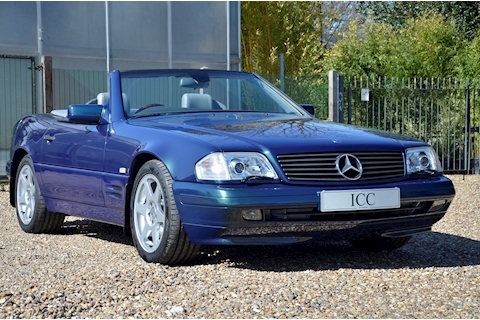 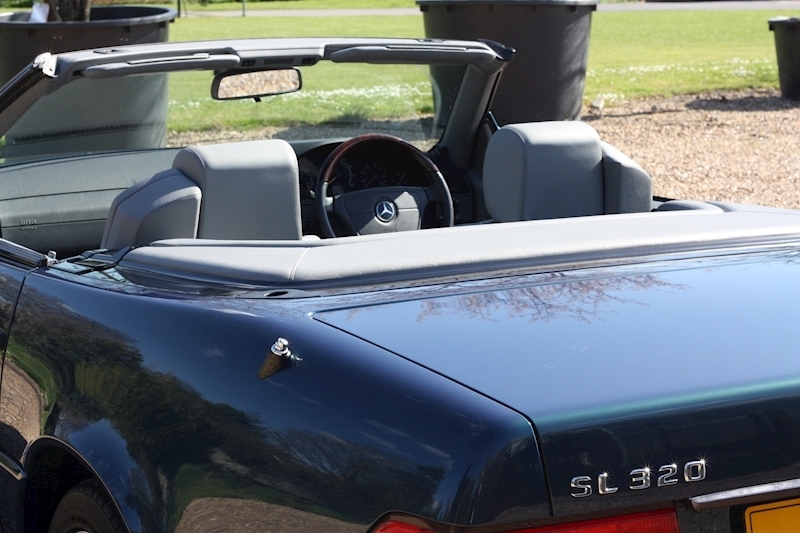 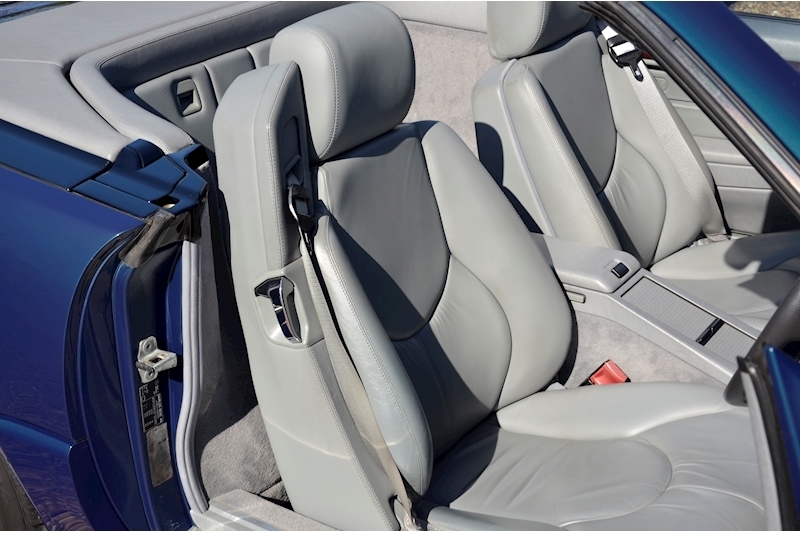 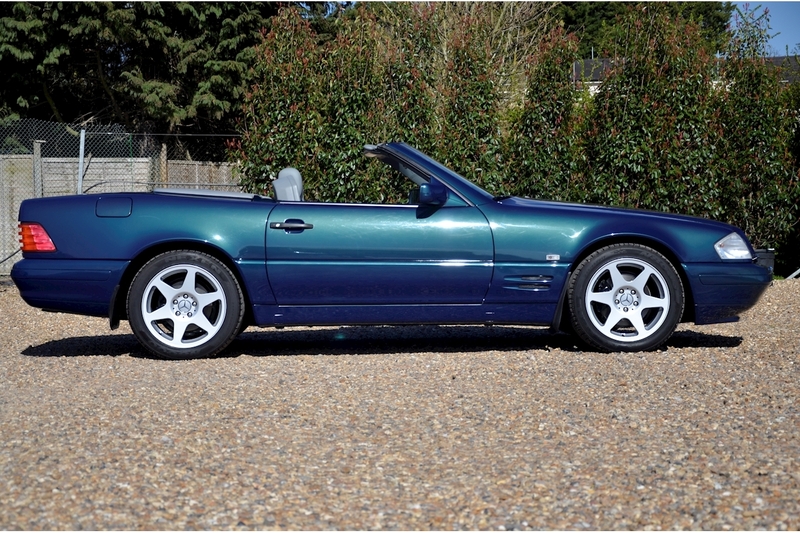 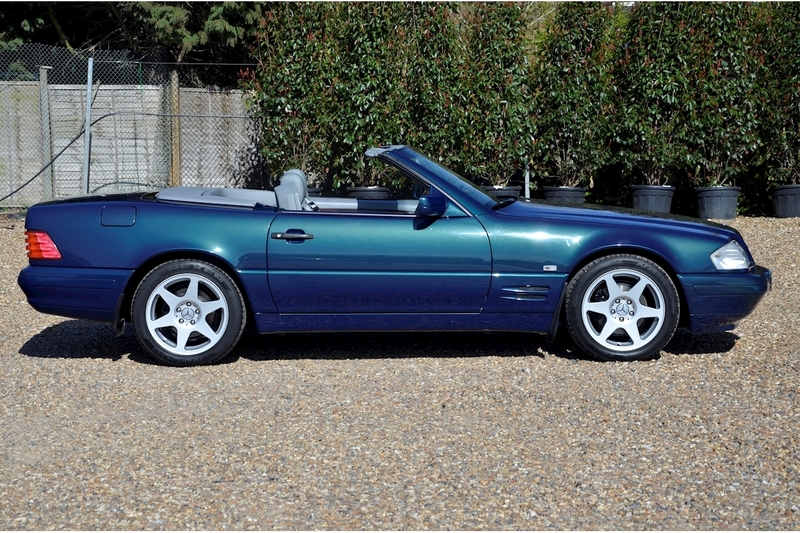 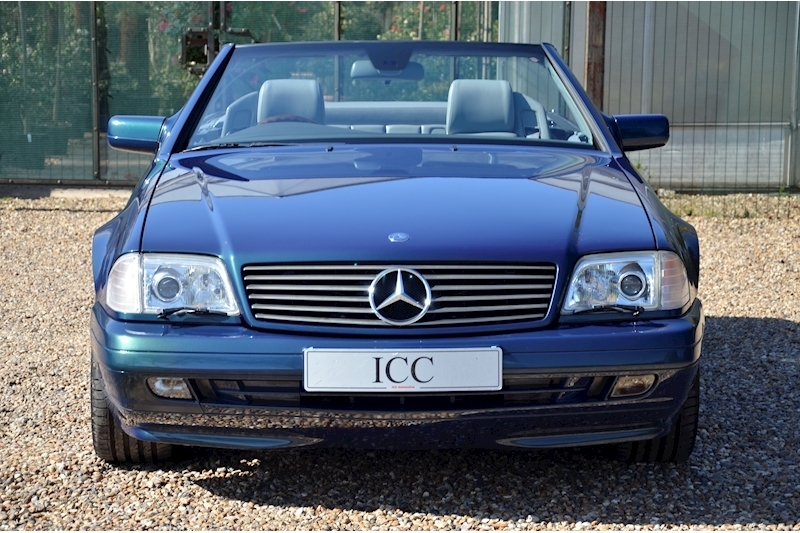 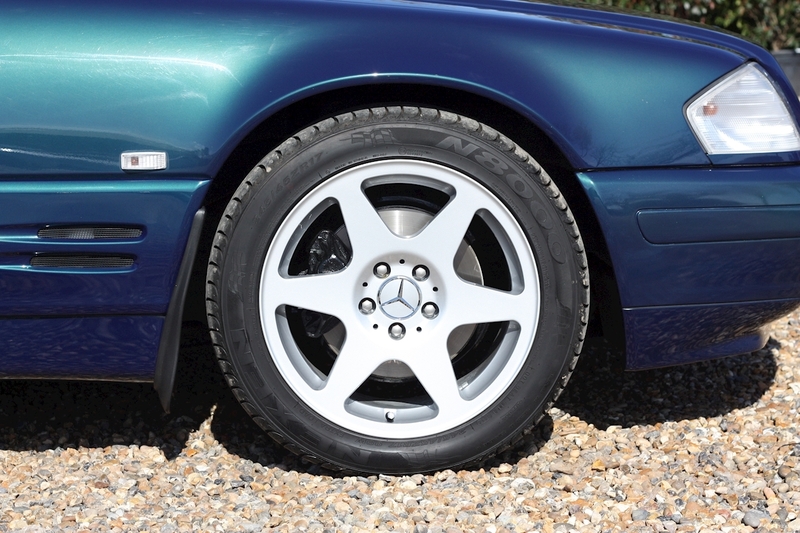 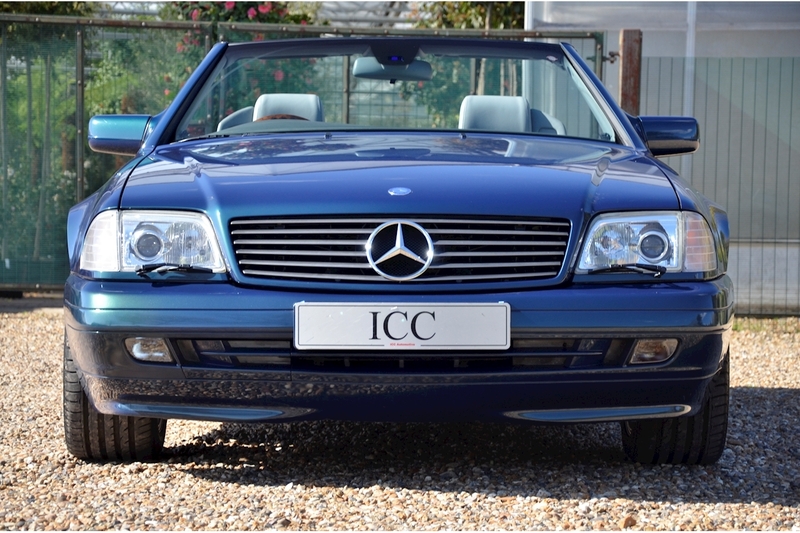 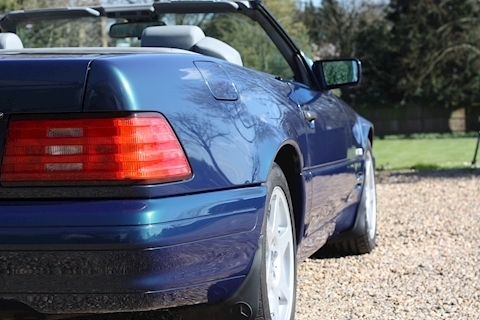 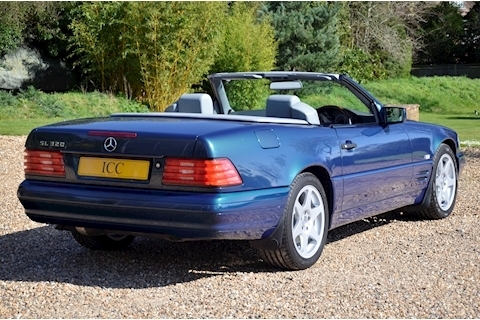 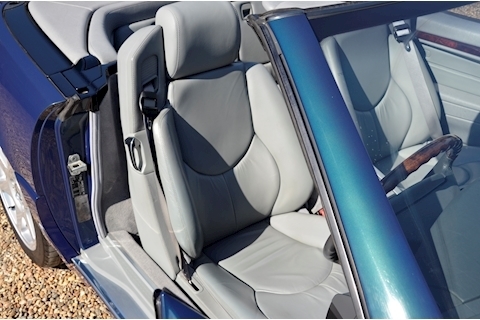 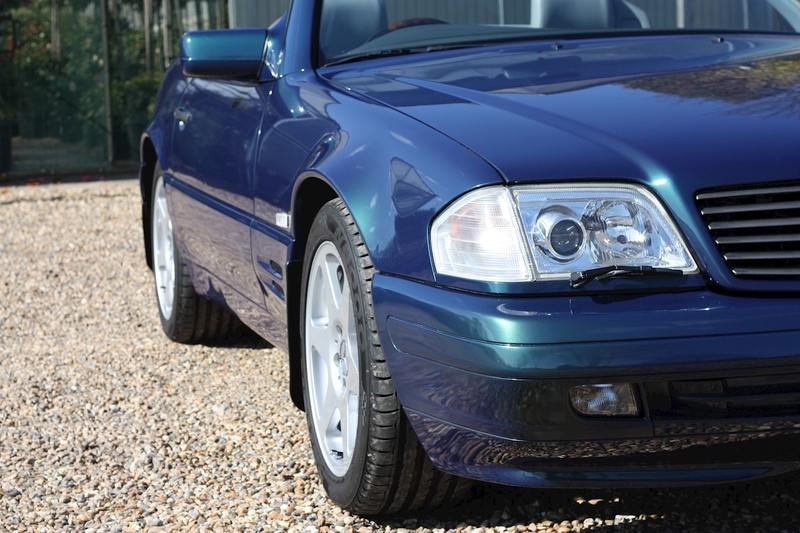 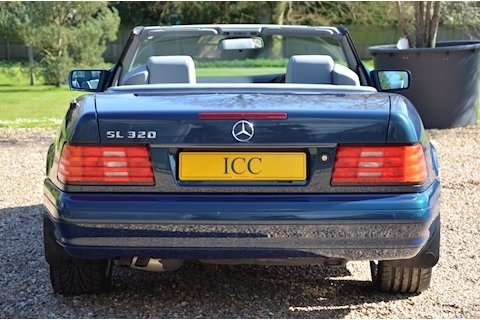 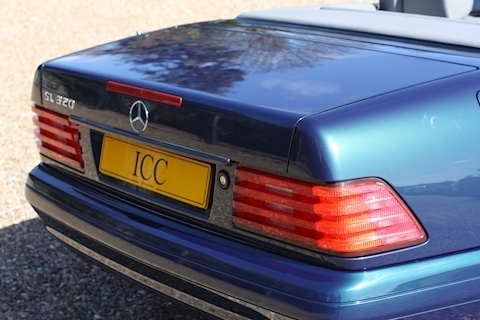 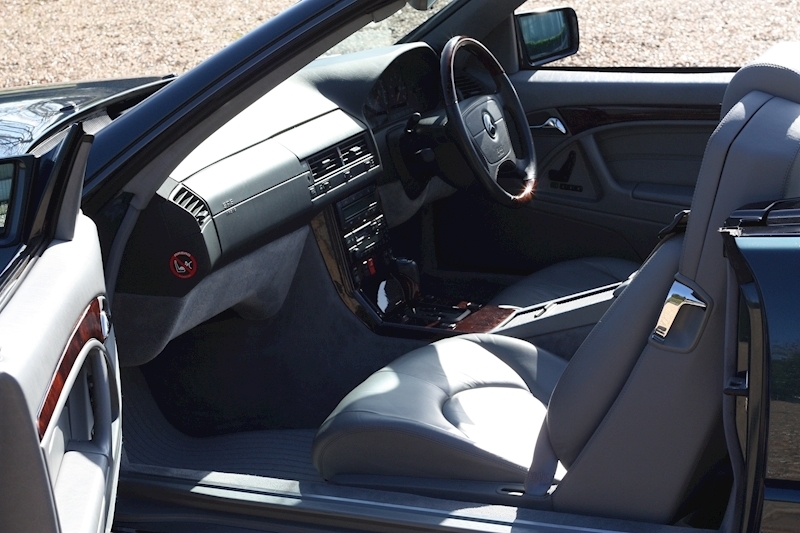 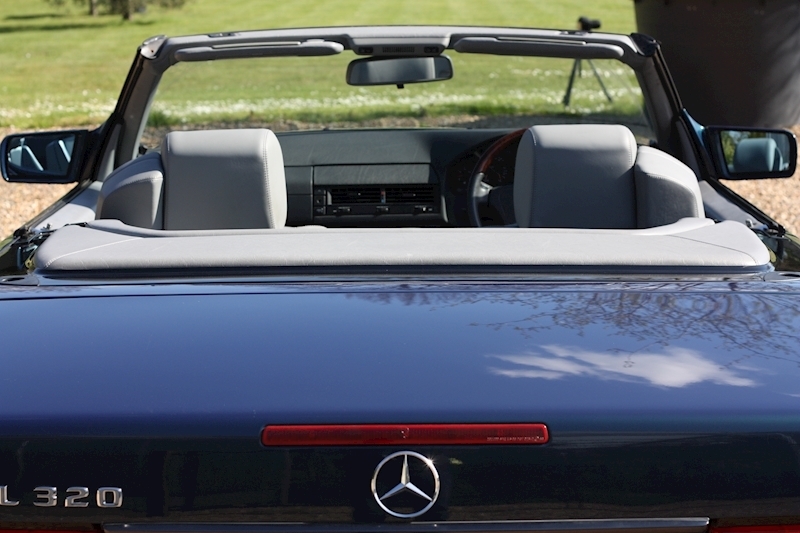 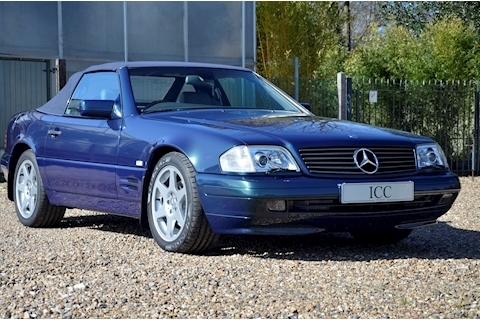 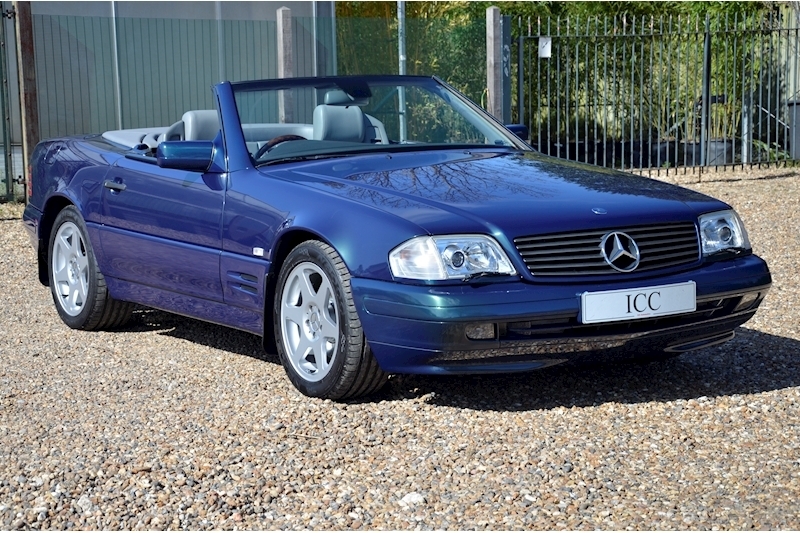 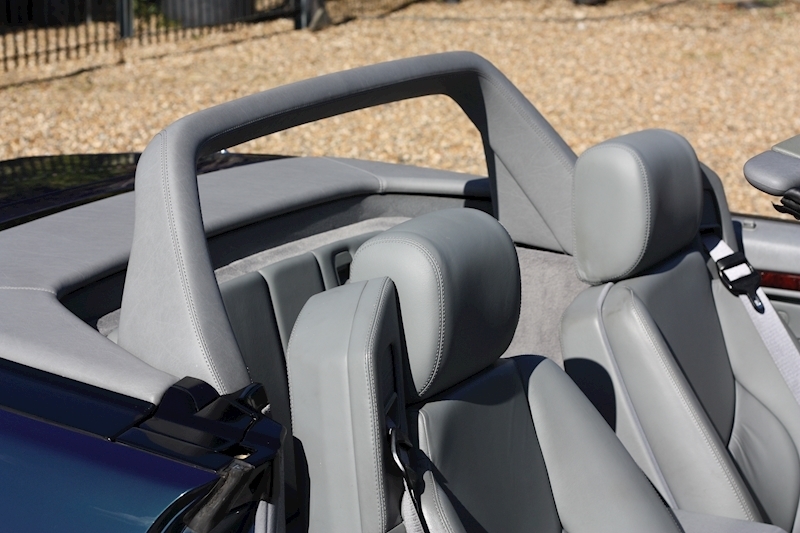 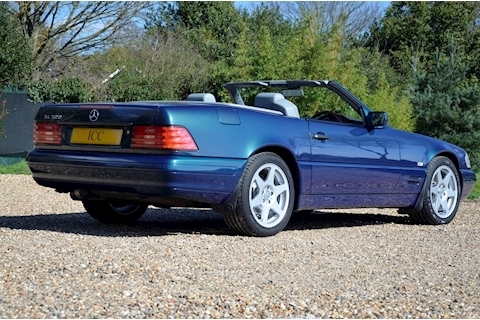 ICC are proud to offer this incredibly low mileage 1998-R registration Mercedes SL320 (R129) 40th Anniversary Edition. 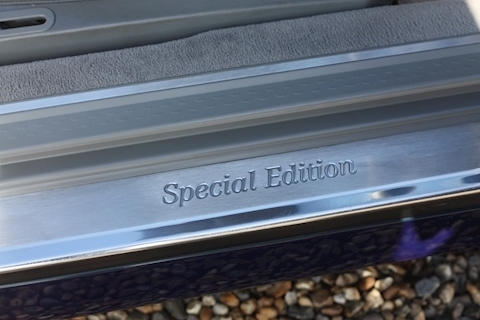 Finished in Vario Designo Metallic Blue/Green paintwork (the only choice available on the 40th Anniversary model) with special edition Nappa Leather Interior. 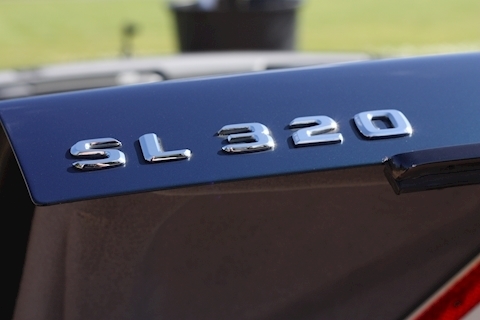 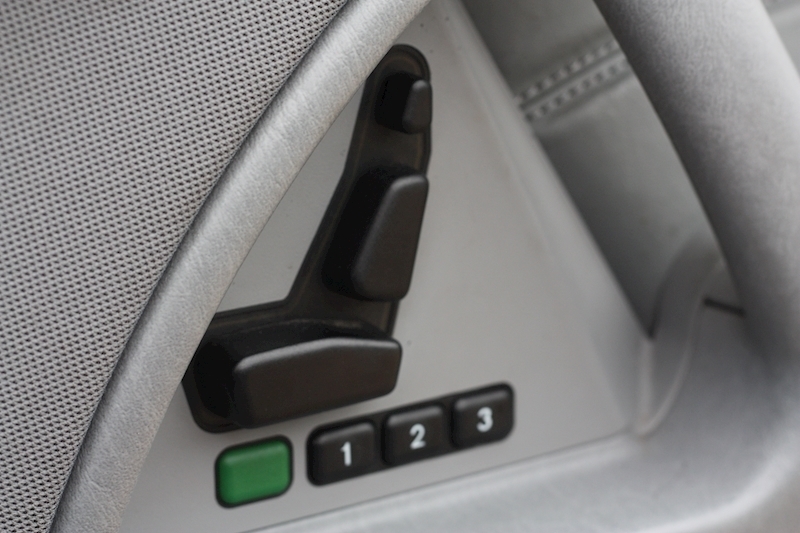 The car was produced in limited numbers (75 SL320's to be exact) and was a nod to the sucess that was the SL of that era. 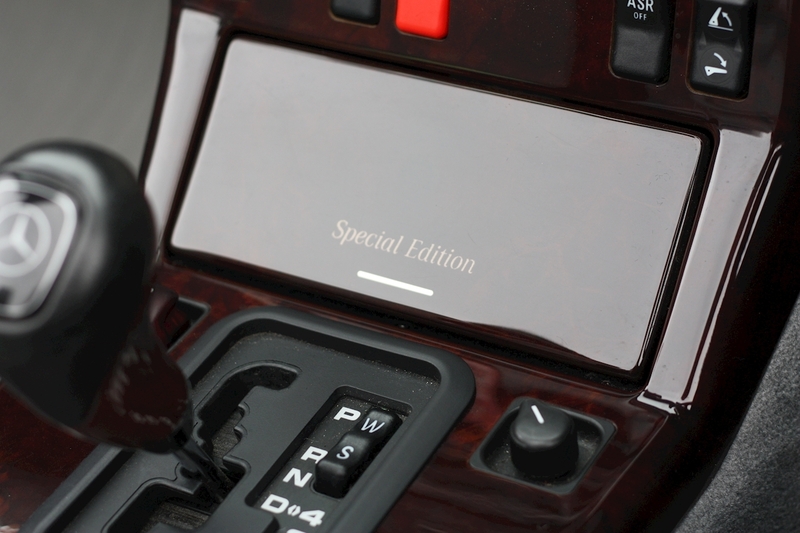 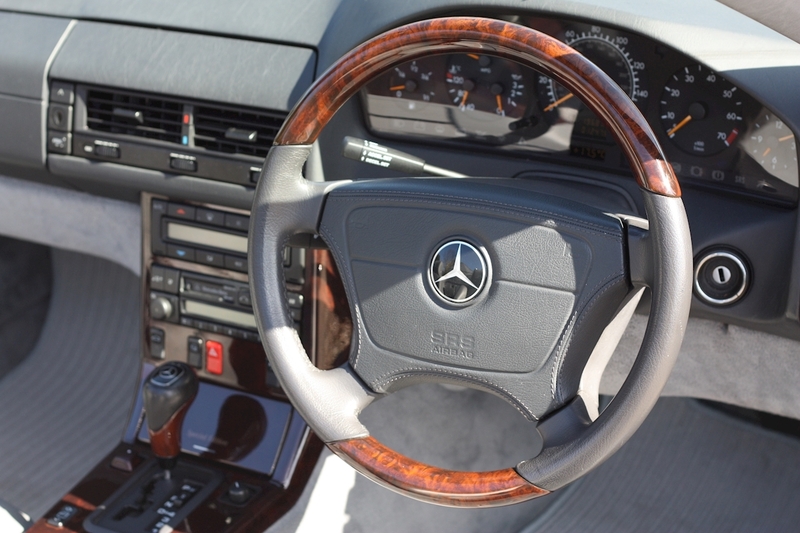 As well as the exterior paint the car was treated to a set of special edition six spoke EVO II alloy wheels and a two-tone leather and polished wood steering wheel This particular example is about as original as we have ever seen. 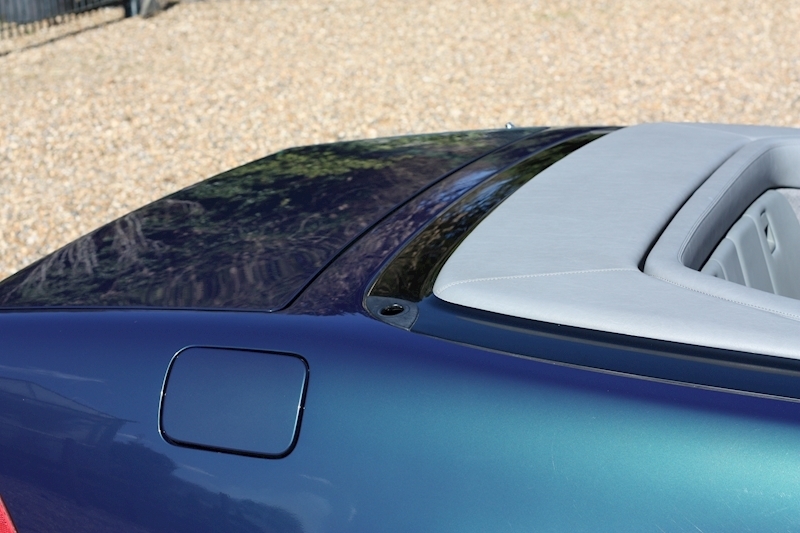 The car was offered to us in part exchange against a 991 Targa 4 by a lovely gentleman who purchase the car from a friend, the intention was to keep it and use it during the summer months but the lure of a 911 put a spanner in his long term plans (these things do happen). 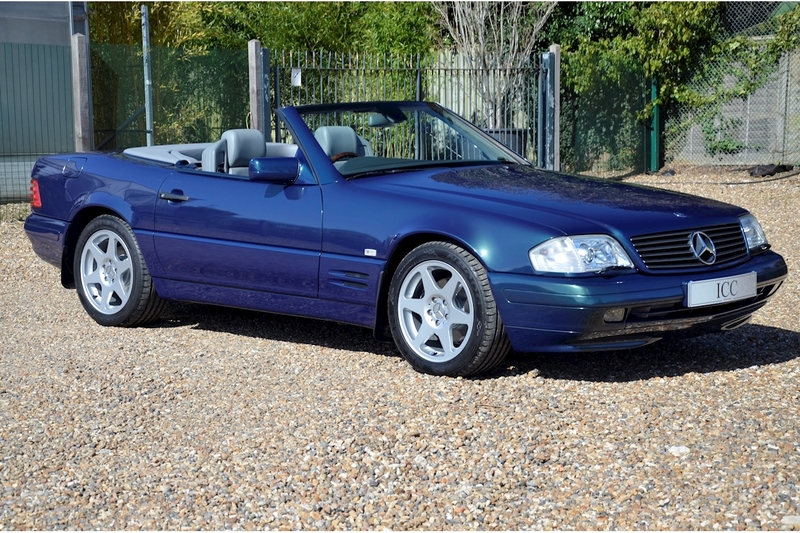 We have seen our fair share of Mercdes SL's and I can say with all certainty that this is one of the best. 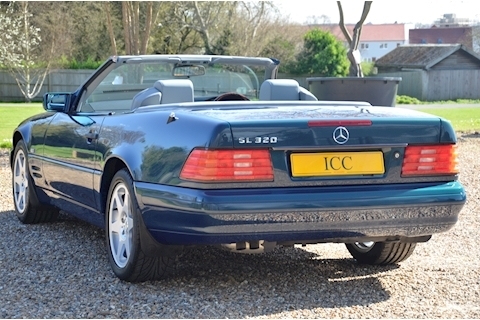 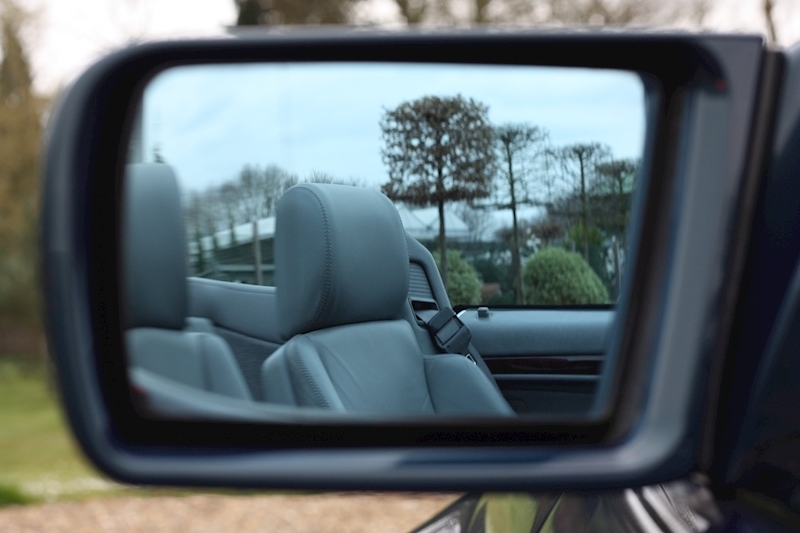 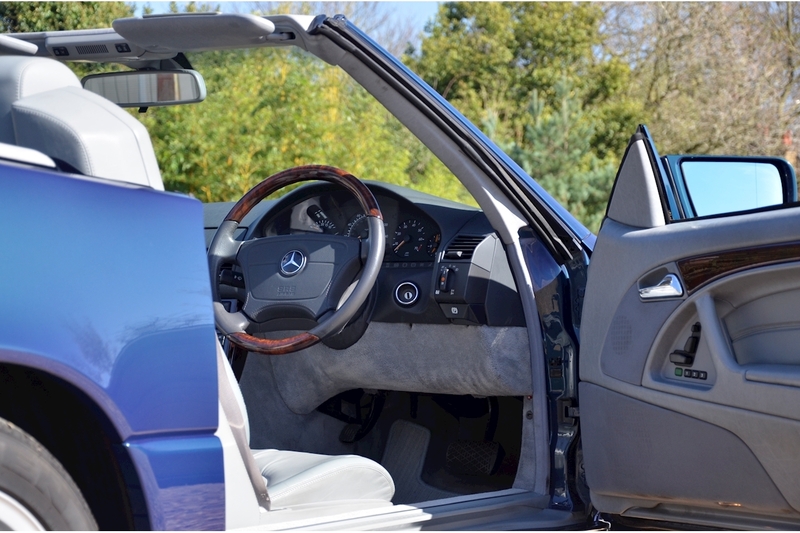 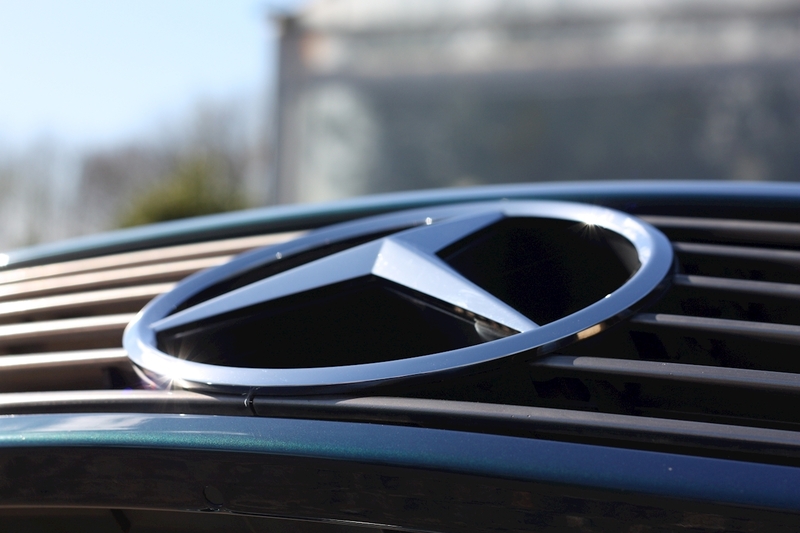 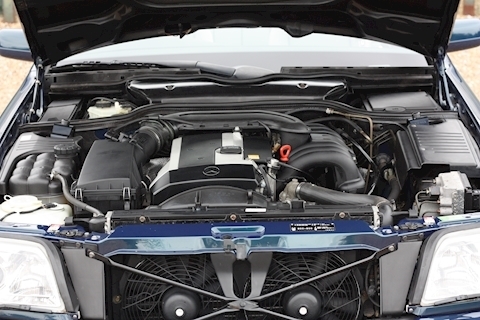 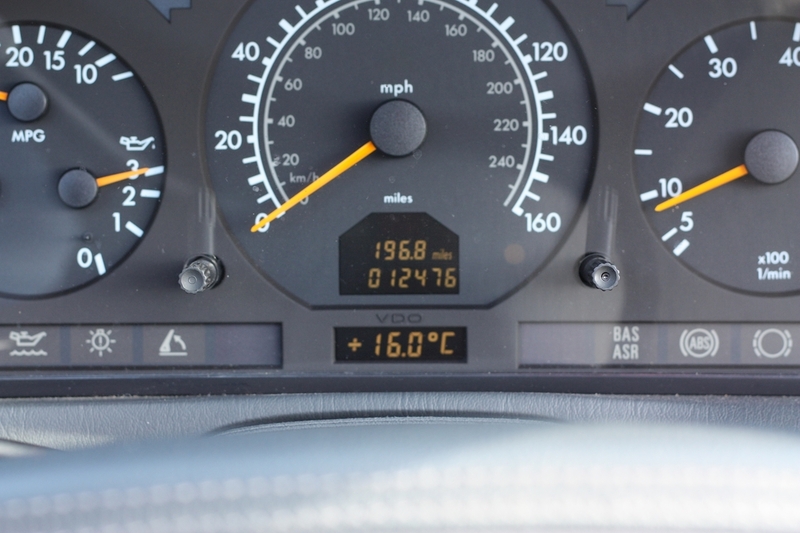 The first owner opted for a factory collection having purchased the car through Mercedes-Benz Milton Keynes (original purchase invoice supplied with the history). 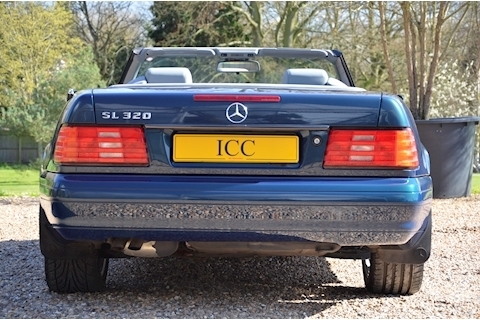 This consisted of a trip over to Germany where he would have been treated to a factory tour and a rather grand handover. 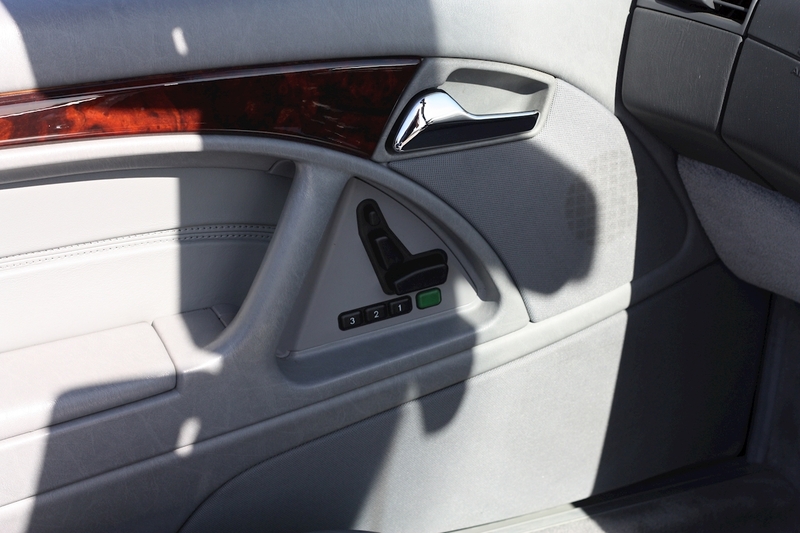 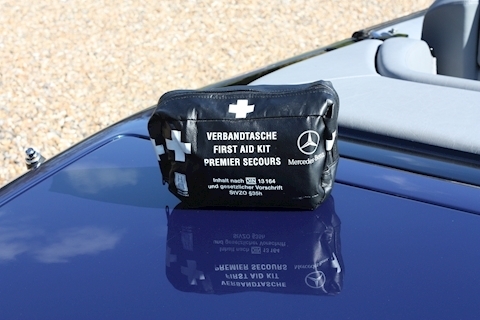 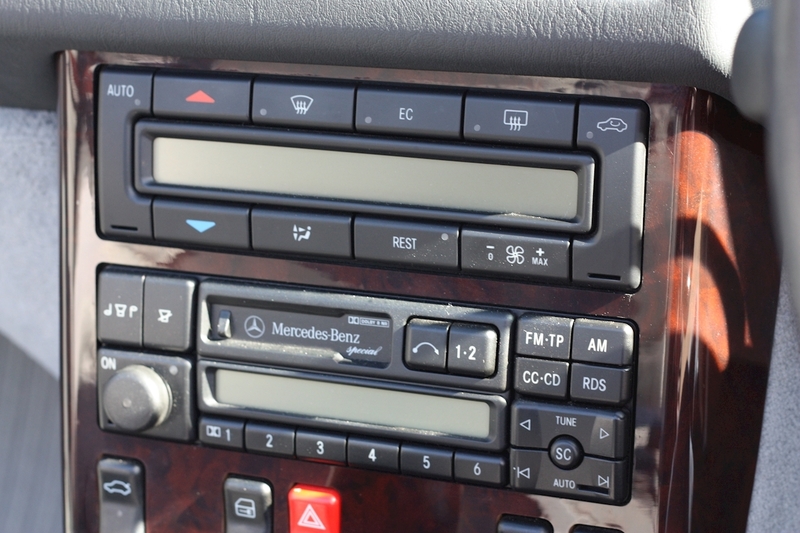 As part of the experience, Mercedes furnished you with a Certificate of Conformatity, International driving cover booklet as confirmation of the build. 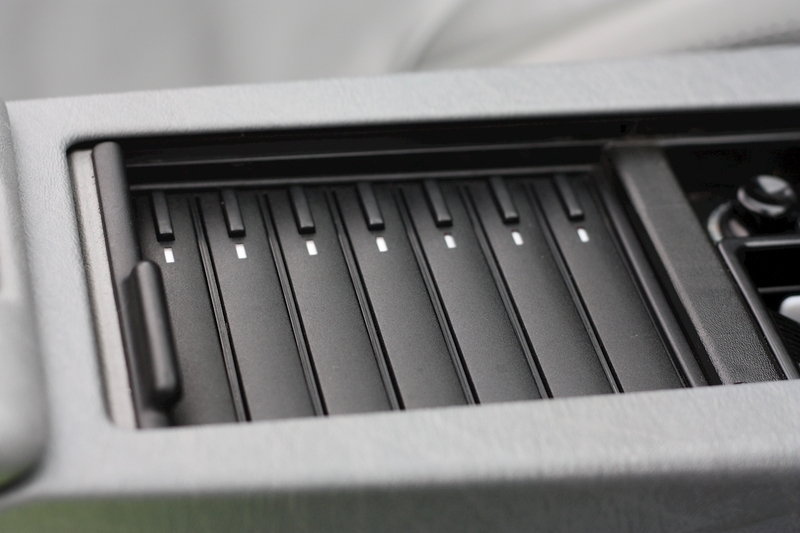 The ring binder and box file contain a wealth of history as well as the original (Deutschland Karte) map that was given as part of the factory collection. A real collectors item. 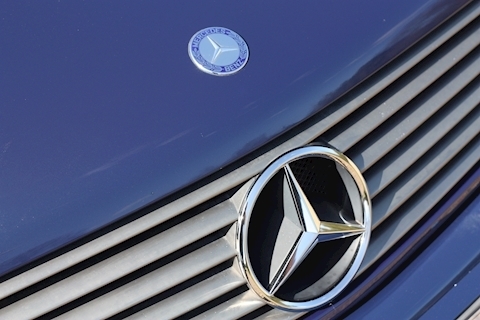 More details to follow. 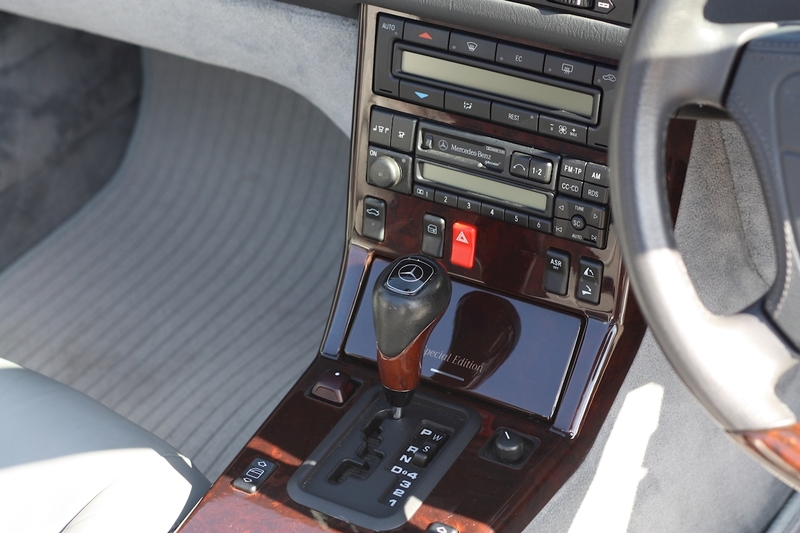 Xenon Headlights, Super Low Mileage, Multi-change CD Player, Memory Seats, Electric Adjustable Seats, Leather Seats, Cruise Control, Air Conditioning, Heated rear screen.